이 책은 조선 세종 13년(1431)에 경상도관찰출척사(慶尙道觀察黜陟使) 조치(曺致)와 도사(都事) 안질(安質)의 주선으로 참의(參議) 박분(朴賁)의 가장(家藏) 선본(善本)인 좌씨전(左氏傳)을 구해서 청도지군사(淸道知郡事) 주소(朱邵)의 책임하에 청도(淸道)에서 출간(出刊)한 것이다. 제목록(諸目錄)에 보이지 않고 전부(前部) 권1-59까지가 결본(缺本)이며, 발문(跋文)에도 간행(刊行)사실만 간략히 기록(記錄)되어 있고 편제(編制) 등은 구체적으로 명시(明示)되지 않았다. 그러나 발문(跋文)에 의하면, “우리 동방(東方)이 문교(文敎)가 크게 행해져서 경서(經書) ·사서(史書)가 다 갖추어졌으나,『좌씨전(左氏傳)』만은 간행되지 못하여 춘추(春秋)를 공부(연구(硏究))하는 사람이 상고할 길이 없었다. 신해년(辛亥年)(1431)에 감사(監司) 조치(曺致), 도사(都事) 안질(安質)이 선본(善本)을 두루 구하여 나에게 그 일을 부탁하였는데 그해 중추(仲秋)에서 시작하여 중동(仲冬)에 이르러 조성(告成)하였다 ”하였다. 곧 판각(板刻)은 세종 13년(1431) 8월(月)에 마치고 인쇄(印刷)는 선덕(宣德)6년(1431) 11월에 개판(開板)한 것으로 나타난다. 발문(跋文) 뒤에 “선덕육년(宣德六年) 십일월(十一月) 청도개판(淸道開板) ”이란 간기(刊記)가 있고 그 다음에 간행제원(刊行諸員)의 관명(官名) ·성명(姓名)이 10행(行)에 걸쳐 기록되었는데 교정(校正) ·도색(都色) ·색기관(色記官) ·각수(刻手) 등의 이름도 열기(列記)되었다. 위의 발문(跋文)에 의하면 좌씨전(左氏傳)은 우리나라에서 이때 처음으로 출간(出刊)된 것으로 추정된다. 이 좌씨전(左氏傳)이 낙질(落帙)이기는 하나 조선초기 간본 좌씨전(左氏傳)으로 발문(跋文) ·간기(刊記) ·간행제원(刊行諸員)의 성명(姓名)이 열기(列記)되어 있어 서지학연구(書誌學硏究)는 물론, 경서(經書) 특히 좌씨전연구(左氏傳硏究)에 매우 중요한 자료이다. 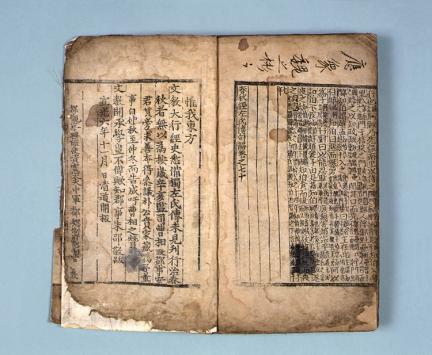 This book was published in the 13th year of the reign of King Sejong (1431) of the Joseon Dynasty in Cheongdo District under the sponsorship of Cheongdo Governor Ju So after acquiring Jwassijeon (Zuozhuan) -- which was a precious rare book kept together with Minister Bak Bun -- through the good offices of Gyeongsang-do Governor Jo Chi and government official An Jil. Among them, Volumes 1 to 59 are now gone; simple information about the publication is stated in the epilogue, and its organization is not specified. 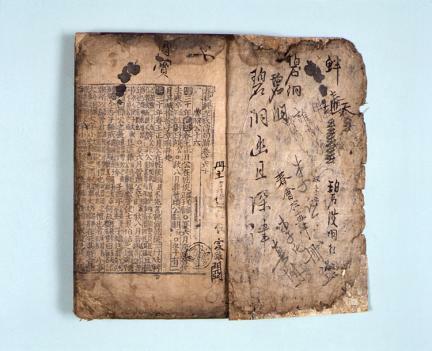 Nonetheless, the information about the publication states thus: “Thanks to the flourishing education in the East, Confucian classics and historical books have all been published, but only Jwassijeon, which is necessary for those studying Confucianism, has not been published. In the Year of Sinhae (1431), provincial governor Jo Chi and government official An Jil have secured Jwassijeon, a precious rare book, and asked me to publish it. In the same year, I began the process.” The engraving of wood blocks was finished in the 8th month of the 13th year of King Sejong’s reign (1431), and the printing began in the 11th month of the 6th year of Queen Seondeok’s reign (1431). Following the postscript, publication records and names of government offices and officials related to the publication are enumerated in 10 lines. 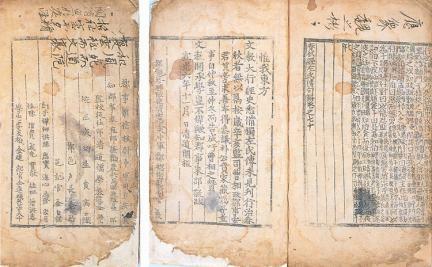 According to the postscript, Jwassijeon was probably published for the first time at that time in Korea. 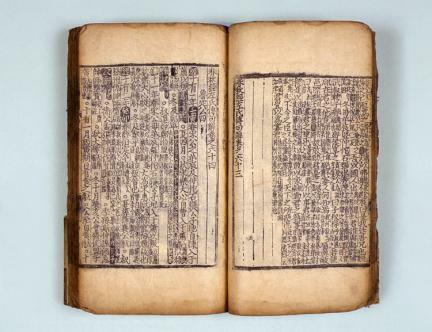 Even though this Jwassijeon has some missing volumes, it is the first printed book of Jwassijeon published during the early Joseon period. 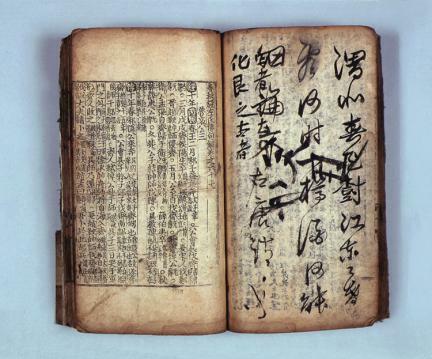 Since it has a publication record, a postscript, and the list of government offices in charge, it is considered an important material in studying Confucian classics particularly Jwassijeon.